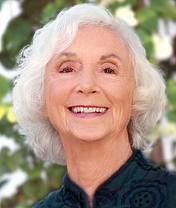 If you have never heard Barbara Marx Hubbard speak, then treat yourself and take a listen to this wonderful podcast we just recorded about her new DVD entitled ” Visions of a Universal Humanity“. Barbara and I have a very engaging dialogue about the new story for humanity. In the documentary DVD Barbara brings together some of the finest minds of our time including world renowned physicist Freeman Dyson, biologist Bruce Lipton and scolar Jean Houston and others who present cutting edge perspectives on humankind’s potential to create a positive future for Earth. In a time when so many people are asking the question. “why on earth are we treating one another this way“, the insights from VISION’S brilliant luminaries give us a glimpse into a world where competition is replaced with cooperation and violence by compassion. A world where artificial trees can create more oxygen than naturally occurring trees and where GOD is described as existing inside the universe rather than outside of it. There is not doubt that our world is shifting, and that all of our institutions including our monetary, education, government are being tested. We are most likely going to see a reinvention of most of these system over the coming years, and as is articulated through the scientists and spiritual leaders interviewed in the movie the alternative viewpoint to doom and gloom Armageddon scenarios currently circulating is one an evolution of the consciousness of individuals on the planet where co-creation and harmony pervade. Biologists Bruce Lipton, states”we need a change in our beliefs” our old beliefs are not serving us any longer and it is time to awaken to new possibilities. If there were every a documentary that will assist the viewer to awaken to their own personal possibilities, and have renewed hope for our humanity then you need to watch this documentary “VISIONS of a Universal Humanity“. Barbara Marx Hubbard is sponsoring a no cost a program entitled “Three (3) Keys to Evolutionary Metamorphosis” staring October 14th and continuing for 14 weeks. I would highly recommend that you click on this link and join in on this teleseminar to understand more how you realize your human potential and contribute to the evolution of our world in a very positive way. I hope you enjoy this wonderful interview with an amazing futurist, author and activist who is having an impact on the positive evolution of our planet–Barbara Marx Hubbard.